"I want to make more, rather than just simply one zone"
Wii U title Sonic Lost World was recently given some DLC-love with special Yoshi and Zelda-themed levels, and producer Takashi Iizuka has been speaking to 4gamer about how this collaboration came to be — and why Sonic won't be teaming up with former rival Mario in any future downloadable content for the game. 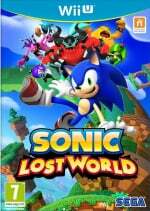 Sonic Lost World is a title that only released on Nintendo hardware, which is an opportunity that I couldn’t believe, collaborating together. This time, the appearance is interesting, as combining Sonic into such a world is extremely foreign, and I wanted to aim at the unexpected. There has been much mix and collaboration of Mario and Sonic in the “Mario & Sonic” series, and they have parts that resemble both games. There was also the idea that the combination of the two might not be that interesting to the audience. What did you think of the Zelda and Yoshi zones? Would you be keen to see more in the future? Let us know with a comment. What about a F-ZERO ZONE?! @DestinyMan For reason I can see Sonic chucking Pokeballs to compete a stage via Pokémon Snap style. A big yes please to more content. Great news! I've been putting many hours back into this fun game recently. Very underrated. @ddbangsy If they didn't put sonic in it but made someone else playable like Mighty, Knuckles or Tails, the game would have done really well at the very least. Disliked the Wii U version of SLW. Liked the 3DS version but it still had bad parts. Best Sonic game ever. I truly don't get the meh reviews it got. Maybe people didn't play around with the controls as much and discover how much depth there is? In any case, the DLC has been awesome. 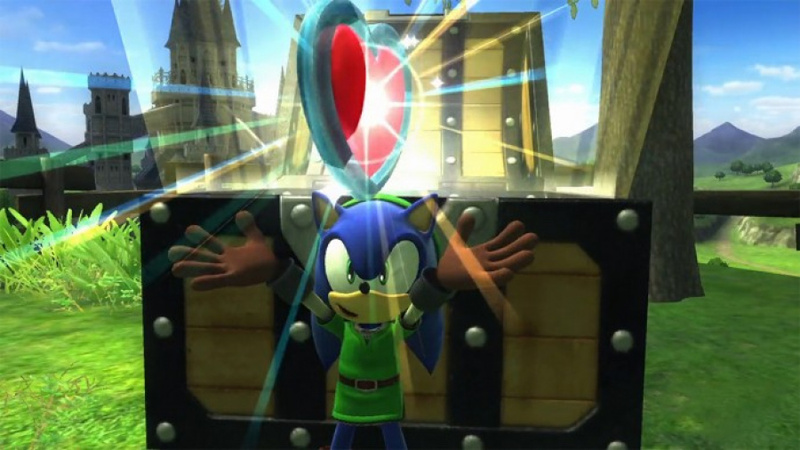 The Zelda Zone in particular has given me hope that they could actually pull off a successful Sonic Adventure game. I've downloaded the DLC, but haven't tried it yet. So glad Sega is still supporting this game, and with FREE dlc too! Hope more comes, as someone already said, in the form of a Kirby zone. I don't enjoy Sonic games, but even still I love everything about this idea. Not only is it really clever DLC, but it's free. Sega is really doing justice to the fans of this game. I want an Urban Champion zone but they could probably charge $29.99 for that DLC! I'd like a Sonic game with the level of quality seen in the DLC. Is that too much to ask for SEGA? @AlexSora89 At first I didn't see it. But after a couple minutes I realized that, thanks to Sonic's speed, an F-Zero Zone would be awesome! I also like the idea of a Metroid Zone. I want a Duck Hunt zone! I wonder who's paying to develop all of this free DLC. Wii Fit Zone! Really burn off those calories by jogging at the speed of sound! "There has been much mix and collaboration of Mario and Sonic in the “Mario & Sonic” series, and they have parts that resemble both games. There was also the idea that the combination of the two might not be that interesting to the audience." "There was also the idea that the combination of the two might not be that interesting to the audience." "The combination of the two might not be that interesting"
SEGA!! DO YOU NOT REALIZE HOW AMAZING A PROPER MARIO AND SONIC CROSSOVER WOULD BE?!?!?!? @AlexSora89 totally on board with this - so much speed under one roof! Metroid, Kid Icarus, and Donkey Kong Country stages would be awesome. @Luigifan141 I agree, it would be a system seller. Nintendo and Sega are really missing an obvious moneymaker here. I thought both DLC stages where great, better then some of the regular ones. I really hope they do make more DLC stages like these. @Xtremetdifan I knew I'm not the only one. I know the main game is a bad homing attack filled game, but how about these free dlcs? Are these worth enough to buy the game? The cheapest I've seen this go is 29.95€?